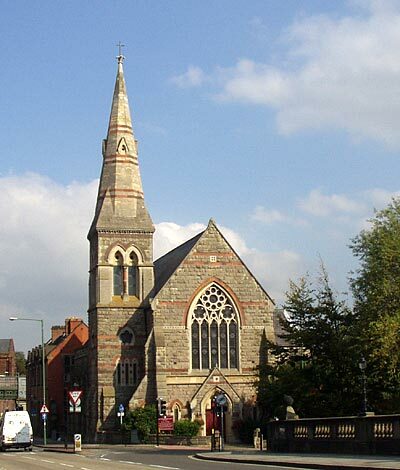 At a bi-centenary meeting held in 1862 it was decided to expand the congregational cause in Shrewsbury by building a new memorial chapel that would be "an ornament to that part of the town". A site was purchased in Abbey Foregate for �0, and temporary buildings used for a church. Then a chapel was built (at a cost of �000), the foundation stone was laid on 12 April 1863, and it was opened on 24 May 1864. It was designed by George Bidlake of Wolverhampton and the builder was Messrs Trow of Wednesbury. It had seating for 900 worshippers. It is the only nonconformist chapel in the town to have a spire. The congregation, which has always been very successful and still exists, joined the United Reformed Church in 1972. There is a detailed description of the chapel interior in the "Shrewsbury Chronicle" of 3 June 1864 page 5.